How can you make $10,000 to even $200,000 a month and achieve financial freedom? It would be through Amazon FBA. Many people don't know that Amazon FBA can be one the most lucrative online businesses you can do. Thousands of people are making a living from selling on Amazon, and so can you after listening to this audiobook. 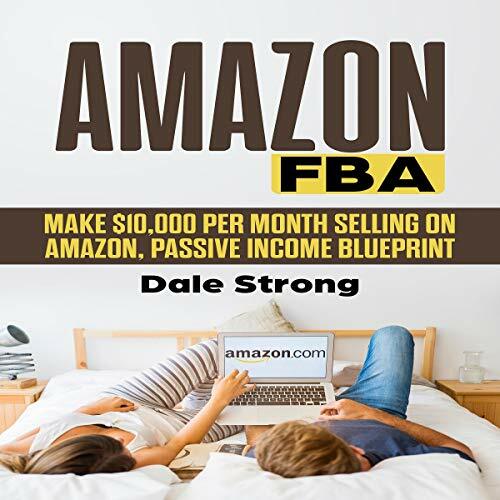 This audiobook goes into detail on how to start making money from home with Amazon FBA so you can build your online business empire, and we will talk about the deep secrets most successful Amazon FBA passive-income makers don't want you to know about making money through Amazon. Just remember, if you follow the steps in this audiobook precisely as explained, then you should have no problem making $10,000 a month or more from selling on Amazon. Remember to work hard and to listen carefully. You will reap the benefits of this fantastic audiobook. This audiobook has solid tips and advice with real-time strategies to take you where no Amazon FBA guide has gone before. It doesn’t matter if you are a beginner or a pro, this audiobook has it all. Fulfillment by Amazon is a great way to get started generating passive income without having to fork over too much cash up front. All you need is a product you know a specific niche will love, a few hundred dollars, and the willingness to put in the time up front to ensure you can continue turning a profit long after things are largely running on autopilot. Work when you want, with no boss on your back or punching a clock. Amazon FBA - going step-by-step on how to find a good product that will sell and make profits. Why every Amazon FBA person needs this audiobook - explaining in detail as to why this audiobook is a must-hear for any aspiring online business entrepreneur. How to pick a niche - how to find a niche that would be best suited for you. SEO - explaining the importance of SEO, while also showing how to boost ranking on Google. Importance of YouTube - why YouTube is an excellent idea for Amazon FBA and how it can help them get amazing traffic to your products. How to build an email list - showcasing some of the most sought-after methods for collecting emails for an Amazon seller account. More traffic to your products - learn how you can generate more traffic to what you sell. How to use all these methods - summing up everything we just talked about in this audiobook and explaining how to use these methods for best results. Keep growing your empire - briefly touching on how to keep building your Amazon FBA empire even after you have achieved the $10,000 a month mark.